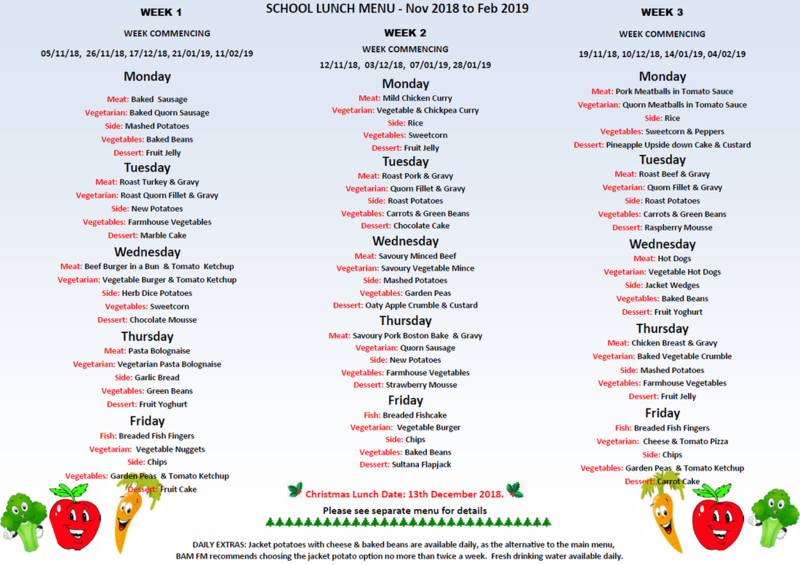 All children in Key Stage 1 are entitled to a Free School Meal under the UIFSM (Universal Infant Free School Meal) scheme which was introduced in September 2014. ​In order to receive a meal, please complete an application form which is available from the school office. ​If you are in receipt of certain benefits, then you may qualify for a Free School Meal for a child in Key Stage 2. Please speak to the School Business Manager if you think you might be entitled. Eligibility also attracts Pupil Premium funding which can help to ensure your child makes good educational progress during their time with us. We also offer the option for Key Stage 2 pupils to purchase meals.